British Singer, Songwriter David Gray Hear a full concert online by singer/songwriter David Gray, originally Web cast live on NPR.org from the 9:30 Club in Washington, D.C. It's the latest in a series of live concerts from NPR Music's All Songs Considered. 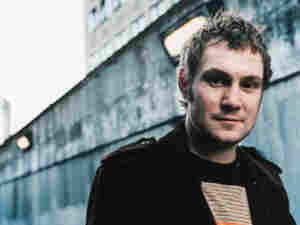 Hear a full concert online from singer/songwriter David Gray. Gray's performance from the 9:30 Club in Washington, D.C. originally Web cast live on NPR.org August 6, 2005. It's the latest in a series of live concerts from NPR Music's All Songs Considered with host Bob Boilen. Previous concerts are listed at right. Gray's performance is part of a special, limited tour of smaller venues to promote the upcoming release of his latest CD, Life in Slow Motion, due out on September 13.